When people think of New York, the bright LED billboards illuminating Times Square are usually the first thing that comes to mind. They have become a recognizable symbol of New York ever since they were first unveiled- Times Square proves the importance of bright, recognizable signage. However, before LED ads were present in New York, other forms of light-up advertising were apart of Times Square’s allure. In May 1904, Times Square’s first electric advertisement is erected on the side of a bank. Broadway gained the nickname “The Great White Way,” after the bright white lights lining the buildings on the street. It became one of the first streets in America to be fully lit by electric light, and during this time, it wasn’t uncommon for people to walk the streets at night to see the lights. The nickname stuck around as more electric ads in Times Square contributed to the spectacle in the 1920’s. In 1917, Wrigley displayed one of the biggest electric signs at the time in Times Square. The huge sign became a tourist attraction. The sign was a full block long, and crowds would gather to ogle it at night. This year marked the introduction of neon signage to America, and the streets of New York embraced this new form of advertising. Neon signage has become outdated. The far more efficient, bright, and reliable LEDs have replaced old neon signs. Thanks to their unique look, several business owners keep their original neon signs up in New York today. However, LED signs have proven themselves to be the better choice for companies when it comes to showcasing ads. LEDs- like those in Green Light’s business signs- are customizable and can change color easily. This means that they are excellent for business owners that want to customize lights to match their exact branding. When the first electric sign was put up in Times Square, it marked the beginning of a new era in advertising. As the ads become more advanced, the awe people feel when looking at Times Square has only grown. In 2014, Clear Channel introduced the biggest billboard in Times Square’s history. The billboard is eight stories high, and costs $2.5 million per month to rent. Google was the first company to advertise on it. In 2017, Coca Cola unveiled the world’s first 3D robotic billboard in Times Square. The billboard is six stories tall, and made up of over 1,700 computerized LED modules. Above all, companies have to consider if their ad is eye-catching. Although, your small business may not be as large as Google or Coca-Cola, you can still catch your customers’ eyes with bright business signage. Investing in a Green Light Innovations open sign is a great way to attract customers’ attention without breaking the bank. People fly from all over the world to gawk at the advertisements and marvel at Times Square. From the first electric sign put up in Times Square to the introduction of LED billboards, Times Square has come a long way in advertising, but you don’t need to be a big corporation to appreciate the value of bright, attention-getting signage. You can recreate the magic of Times Square for a fraction of the price with a bright LED open sign from Green Light Innovations! Starting a business is hard work that takes time, dedication, and focus. Longtime business owners know that planning ahead is essential to the success of their business. Growing a business takes a while, and it’s smart to outline a plan for its success. Overall, it’s important to devise a game plan in the beginning to ensure that your business won’t immediately fail. Finally, here are five tips to consider before starting a business. When you create your company name, do a trademark search on the United States Patent and Trademark Office’s website. Obtaining the trademark and Internet domain name of your company’s name is a necessary first step to take. If your business is operating under a trademark already in use, it could spell trouble for you and your business’s success. As for the Internet domain name, offering a place online for your customers to seek information about your business is essential in this day and age. Writing a formal business plan can help you establish the goals you want to achieve for your business. If you don’t have any funding yet, having a detailed business plan can interest potential investors, and show that you’re serious about your business. When writing a business plan, address what need your business will serve, and target your market. This will help you create a marketing strategy and add more essential details to your business plan. An essential portion of any business plan is your brand! Establishing your brand, including logos, colors and messaging is critical to creating a business that your customers know and trust. Read more about building a brand, here. Writing a business plan helps you figure out how you plan on achieving your goals, and addresses the specifics of your business. When it comes to starting a business, understanding the regulations you need to follow is imperative to its success. Identify what licenses you need for your business to operate within the law, and research what taxes you’ll need to pay for. Besides relying on your own research, consult with a lawyer and accountant to ensure that you understand what regulations, licenses, and taxes your business will need to follow and pay for. Overall, keeping your business within the law is one thing you want to be prepared for. Hiring friends is not something you want to consider as a business owner, as it can lead to difficult situations later. It can be hard to let them go if you’re the one that hired them, even if they’re detrimental to your business. Ultimately, friends can let you down, and having to discipline your friend can lead to bad blood between both parties. So, make it a rule to keep friends out of your business, unless you’re looking for eventual conflict. Before starting your business, you’ll need to take your personal life into account. Evaluate your cost of living, and discover what you can cut out. Removing unnecessary costs means that you have more money to put into your business endeavor. However, be sure to save extra money to account for unexpected or emergency situations. Lastly, speaking with a financial advisor can also help you budget your expenses appropriately. While starting a business can be daunting, creating a well thought out plan can ease the nerves that come with it. Securing a trademark and domain name for your business is an important first step for developing your business further. Next, establish a reliable understanding of your business by solidifying your ideas with a business plan, and studying business laws in your area. Lastly, when you reexamine your personal life and budget, you’re on track to starting your business on the right foot. By taking all of these tips into consideration, you can begin to outline your own business plan, and eventually take the first step to starting your business. Small Business Saturday is a yearly event created by American Express that was started in 2010. It takes place the day after Black Friday, and the purpose of the shopping holiday is to bring awareness to small business’ in your community. Small Business Saturday is an opportunity for small business’ to kickstart the holiday shopping season, gain customers, and increase their sales. This holiday is intended to support small business’ growth, and bring awareness to the jobs they create, as well as how they help boost the local economy. Spreading awareness of your business before Small Business Saturday is key to getting curious customers to come visit your store. Post about the event on your social media sites, and on your official website. Make sure you cover all your bases online, and check your websites to make sure your information is up to date. Small Business Saturday also has hashtags you can use to make your posts easier for customers to find. Popular ones include #dinesmall or #shopsmall. When customers come to visit your business, ensure that they know your social media handles and your company website. It might help to post a sign with your business’ online information somewhere in your store as well. Make sure your business address, phone number, and store hours are also online and visible in the store. If you plan on extending your store hours, make sure that you mention that in your social media posts and in your physical store. An important part of enticing customers to come to your store is offering special deals or having events planned. Having something special planned for your customers can help ensure that they will come back to your business later. For example, you could offer some freebies related to your business, raffles, or special sales and promotions. If your business is service-based, you could offer drawings for discounted prices related to your service. Collaborating with other business during Small Business Saturday could benefit both of your business’. If you cross-promote with other business’, you can reach more people than you would on your own, and help raise awareness for other small business’ in your community. Before your Small Business Saturday begins, you’ll need to make sure that you have restocked your inventory. Running out of products and having to turn customers away is not an ideal situation for your business. Not only does it hurt your sales, it could hurt the possibility of your customers coming back. You can prevent this by ordering your products earlier than usual, and making sure to stock up on your best-selling products. Small Business Saturday is right after Black Friday, which marks the beginning of holiday shopping for most people. Before holiday shopping season kicks off, you may want to reevaluate the number of staff you have. This usually means hiring extra security, and more people to work the floor. Holiday shopping season is also a good time to retrain your staff. Your staff should revise policies such as refunds, returns, disciplinary guidelines, safety guidelines, loss prevention, attendance, and time off. Small Business Saturday is a great opportunity for your business to grow financially and gain customers. Be well prepared to ease the stress that comes with holiday shopping. Most importantly, you want to put your business’ name out there, and hopefully gain some repeat customers. Update your website, stock your shelves, and make a great impression on your community. Neon has been one of the most popular and iconic sources of light for open signs since it was first used for that purpose, but LED signs have many more benefits than their neon counterparts. LED lights have been around for a while, but have only been more recently used for store signage. While both lights have their own unique qualities and strengths, the advantages that LEDs have outweigh the novelty of neon. The Southern California Edison company did a study comparing LED and neon open signs. They found that using LEDs offers more benefits than neon, in terms of energy savings, costs, maintenance, and more. The study discovered that both lighting sources have the same potential to attract attention. With similar brightness levels and eye-catching displays, they can both attract attention to a business. LED and neon signs are also available in similar styles and sizes if you’re looking for an open sign. So, if you’re looking to replace a neon open sign, you can find a similar one that uses LEDs. LED signs are cheaper to buy compared to neon signs, and they can cost $30 less than neon signs on average. LEDs are newer to the market, so the average price has fluctuated, but has been decreasing overall. LED signs usually cost less than neon signs if they’re similarly sized. LED signs last a lot longer than neon signs, which means that they need to be replaced less often. The average life of a LED sign is 16 years, while most neon signs would have to be replaced four times in that same time period. The average cost of one LED sign is $192, while the average cost of a neon sign is $222. If you replaced the neon open sign four times, that would cost $888, compared to the one time cost of $192 for the LED sign. You will save time and money because you don’t have to buy the replacements required for a neon sign. In terms of energy use, LED lights are more efficient than neon. They use less energy, which results in lower operating costs overall. LEDs can save your business 133 kilowatts a year, if you use a typical open sign for 12 hours a day for each day of the year. LED open signs have the ability to be animated, and while neon signs do too, the features are not as extensive as LEDs. In neon signs, only whole tube sections can be animated, which is limited compared to LEDs, where individual bulbs can be turned on and off. Most LED signs have animation features that come at little or no extra cost. The animation features allow the individual LED bulbs to blink sequentially, which creates the illusion of motion. Compared to neon signs, LED signs are harder to break. LED signs are made of plastic. Neon signs are primarily made out of glass, so neon signs are more likely to break. While neon signs offer a nostalgic view of the past, LEDs offer a greener view of the future. LED signs are more durable, long-lasting, versatile, energy-efficient, and cost-effective than neon signs. As more businesses move towards energy efficient LEDs, the potential to attract customers attention remains, with the possibilities for LEDs in business signage being more “open” than ever. As the demand for energy rises each year, the need for green energy is rising too. The demand for non-renewable energy is coming out of the growth in worldwide energy usage. It’s expected to grow by 40% over the next 20 years. With the expected rise of the renewable energy market, it is more important than ever for investors to look into green energy as a potential investment. According to a survey done by the American Council for Renewable Energy, many top investors are looking into doubling their investments in the renewable energy sector by 2030. Within the next 12 years, the survey showed that 70% of private investors’ contributions would bring the renewable energy sector to over $500 billion in investments. In addition to this, over a quarter of investors’ responses showed a collective investment of $1 trillion in renewable energy. The American Council for Renewable Energy set a goal of $1 trillion in U.S. private sector investment in renewable energy. They also hope to use the $1 trillion investment to enable new grid technologies in the U.S. by 2030. Investors also plan to add to their portfolios by adding technology investments associated with grid advancement, energy storage, and energy transmission. By improving the integration of renewables into the energy sector and supporting market growth, ACORE noted that the investors surveyed saw their investments as a way to add to their funds. The companies surveyed estimated that the investments in renewable energy would be between $500 billion to $1 trillion. Sixty-seven percent of these companies have plans to increase renewable energy investments in 2018 by over 5%. These companies confirmed that they didn’t intend to reduce their investment in the future. As it continues to generate interest, the renewable energy market is expected to gain more in investments. There are a few main drivers behind the presumed market increase in renewable energy throughout the coming years. The increased support for electric vehicles and renewable energy are expected to be a factor in the market increase. Additionally, new business models and improved economics will scale up the energy storage market. Financial innovation is another factor contributing to increased investments in green energy. For example, capital stacks (the total amount invested in a company) are expected to replace tax equity as the main source of project financing in the future. Renewable energy sources will experience a rise in market shares over the next 12 years and will account for over 60% of the 5,579 gigawatts of new generation energy capacity. They will also account for 65% of the $7.7 trillion currently in power investment by 2030. The total share of power generation for fossil fuels and other non-renewable energy sources will drop to 46% by 2030. Hydropower, solar, and wind energy will rise in power generation shares, with hydropower taking the bigger share of new energy capacity among green energy sources. The Bloomberg report, a news agency specializing in financial news, determined that solar and wind will increase their share of global generation capacity to 16% by 2030, up from their combined share of 3%. Bloomberg also predicts that emission reductions will play an important role in the power grid’s integration of renewable energy. The renewable energy market is expanding, and investing in green energy could turn into a worthy investment down the road. Top investors are planning to increase their investments in renewable energy and it may be time to follow their lead. As fossil fuels are a finite resource, we will have to take up renewable energy at some point. Besides that, there is the issue of climate change, which the use of fossil fuels has only worsened. If we want to benefit from our investment while working towards a brighter future, then renewable energy is an important investment opportunity. How do influencers become influencers? They build a brand that’s captivating, personal, and unique to their business. To make your small business brand as successful as those online guru’s, keep reading. Building a solid small business brand is important to maintain an image that will interest your buyers and get your name out there. Your brand will essentially show your customers what the message of your brand is, and what your business is about. The experience your customers go through when buying from your business is a part of your brand as well. If you provide great customer service when your customers are having an issue, that becomes synonymous with your brand. Building a brand takes time, and there are many components that go into building a successful brand. Before even beginning to think of putting out business cards for your business, you’ll need to plan ahead. If creating a quality brand is important to you, then planning ahead should be the first step of your business journey. It is recommended that you start planning out your small business brand at least seven months in advance before starting your actual business. The brand is the face of the company, and investing time in it will only serve to benefit you in the future. What makes your small business brand unique from other brands? Come up with a list of what makes your brand different from others, figure out what edge you have against competitors. Focus on this uniqueness in your brand to persuade customers to come to your business instead of your competitors. Another key to your brand’s success is taking a look at what you value in a brand. Think of the brands you’ve been loyal to, what do you like about them? Why do you trust them? Think of what you want your business to stand for and how you want customers to think of your business. Incorporate these things into the idea of your own brand, then write them down. Creating a key messaging document will help you and your team keep your brand grounded. Another factor in the success of your business is figuring out exactly who your target audience is. Your small business brand should present itself as the key to a problem your audience has, or as the answer to a specific question they have. Knowing who your audience is and what they want is a key factor in maintaining a successful brand. Gain the trust of your customers and keep track of what they like about your brand. Build on the successful parts of your brand, pay attention to your customers’ issues, and they will keep coming back. A recognizable name and logo is a crucial part of your brand’s image. While the name of your business is important, people will associate your brand with your logo, so having a memorable logo is important to pique customers’ interest in your brand. Make sure that your name and logo can easily be associated with your business, and keep your customers in mind while designing a logo or coming up with a business name. You convey a message with your brand name and logo, so think of the message you want to relay to your customers while coming up with a business name/logo. There are lots of resources, like this article from Forbes that will help you determine your logo. Another important aspect of your brand, and especially your logo, are colors. Colors can cause different emotional reactions in people, so think of what emotions you want your logo to evoke. Color is an easy way to integrate your brand into all aspects of your business including signage, marketing collateral, and products. The amount of effort you put forth in making your branding materials will show, so make sure it’s something that genuinely reflects the quality of your brand. There are two parts to consistency in your brand, both of which affect your brand’s ability to be successful. First, there’s consistency in your brand’s message/tone. If you come across as lighthearted on your Facebook page, but serious on your blog, that will clash with what your customers think of as your tone. Causing confusion amongst your customers about your message/tone will weaken your brand. Second, there’s consistency in your branding throughout different platforms. Make sure that you use the same logos and messages across your websites and social media, the overall design should remain consistent. However, the content you post doesn’t have to remain consistent. You could use Facebook for sharing articles related to business, and then another website to put up blog posts. Your content should be tailored to the audiences you reach through different social media channels. It sounds obvious, but creating quality products is essential to your brand’s growth and consistent success. Some brands fall back on quality once they become successful, which is a mistake. The number one reason people write reviews is to share their experiences with the business. Your customers will notice if your quality isn’t what it used to be, and they’ll reflect their dissatisfaction through their reviews of your business. You should always be providing your customers with quality products and service, no matter if you’ve made it big or not. Lastly, perhaps the most important thing about your brand is the relationship you have with your customers. If you promise something to your customers, keep that promise. Disappointing your customers will only cause them to distrust your brand, so make sure you can deliver on your promises. If your customers are happy and satisfied with your brand, they’ll keep coming back. Maintain a good relationship with your customers, and potential customers will trust you too. It’s tedious, but taking the time to build a quality brand will bring your business a wealth of benefits in the long run. Plan ahead and stick with it, invest in your brand’s image, stay consistent, and remember to maintain good relationships with your customers. Compact fluorescent lighting and LED lighting are both popular lighting sources, but which one is a better investment? In this article, we will investigate the pros and cons of each. LED lighting has been coming up in the world of lighting as more people are realizing the long-term benefits of switching to LEDs. CFL’s have been around awhile, and have remained a solid lighting choice as the once widely used incandescent lights are being phased out of the lighting world. However, as technology is progressing and as more customers look for green solutions, LEDs are best. Whether you’re buying for your home, your business, or otherwise, your lighting choice should be efficient, cost-effective, and beautiful. Green Light Innovations wants to fill your life with light that works for you and your budget. Compact fluorescent lights are one of the most commonly used types of lights. They work by driving an electric current through a tube that contains mercury vapor and argon. The electric current process creates ultraviolet light that transitions into visible light, unlike incandescent lights. Incandescent lighting was a popular option before it began to be phased out of production and banned in some places due to negative environmental impacts. Incandescent lights put off more of a warm glow, while CFL’s transition quickly into clearly visible light. Besides the quick transition time, compact fluorescent lights have a few other advantages over incandescent lights. Compact fluorescent lights use 70% less energy than incandescent lights, and they last years longer while only costing a dollar more than incandescent lights. A drawback of using compact fluorescent lights is their lighting capacity. They take a longer time to warm and reach full brightness, so they’re not very useful in places where you want lots of light immediately. CFLs also contain mercury, which means that you have to dispose of them carefully because they harm your health and the environment if they break. LED lighting has been on the market for years now, and have benefits that easily outweigh traditional light sources. LED lights emit light by bringing together currents of positive and negative charge to create energy.The energy the currents created is what emits light. LED lighting has an advantage over CFLs because the light emitted is bright and instantaneous, it doesn’t take time to heat up. Another big advantage that LED’s have over both CFLs and incandescent lighting is how long they can last. They have a lifespan of 25,000 to 50,000 hours, up to five times longer than any comparable bulb currently on the market. Unfortunately, they are pricier than the more common CFLs. LEDs are available in a variety of sizes, brightnesses, and colors. You can buy an LED light that fits your needs at Green Light or at any major retailer in the US. Today, the variety of LED solutions is endless, and companies like GLI even provide custom lighting solutions if your needs are specialized. However, in the long run, using LED lighting saves you money even though they cost more up front. If you were to use LEDs and CFLs for 25,000 hours, the LEDs would be a better investment. One 10 watt LED light would last 25,000 hours, while you would have to replace a 14 watt CFL bulb 3 times for it to last the same amount of time. However, you’d only pay $6 for 3 CFL’s, compared to $8 for one LED bulb. One 10 watt LED is equal to 14 watts of CFLs. The total cost of electricity used over the 25,000 hour period would be $30 for LEDs, $42 for CFLs, if the electricity cost is $0.12/kWh (kilowatt hour). Overall, the total operational cost of the CFLs would be $48 ($42 for electricity, $6 for bulb replacement), and $38 for the LEDs ($30 for electricity, $8 for bulb replacement). Even with the high cost of the bulb, it lasts longer than the CFLs. In the long run, using LED lighting would stay lower in cost compared to CFLs. LED’s are best if you’re looking for an efficient lighting investment. They last longer and are brighter than CFLs. Although LED lighting can be an investment on the front end, they will save you money in the long term. If you decide to make the switch to LED lighting, it’s worth looking into your local and state laws to see if you can get additional tax breaks to save you even more money. LED lighting is a safe bet because it doesn’t have the added risk of mercury. Traditionally, sports stadiums lights are metal halide lights, which are high-intensity discharge lighting fixtures. These lighting fixtures typically use around 263,000 kilowatts of power annually in a sports stadiums. When LED lights were first put into War Memorial Arena in Syracuse, N.Y., they only used 32,000 kilowatts of power annually. Additionally, LED lights provided more direct light on the ice during hockey games than the metal halide lights. LED lights produce light in a specific direction, unlike high-intensity discharge lights, which shoot light in different directions. This means that LED lights can focus directly in one area better than high-intensity discharge lights can. Previously, blackouts at sports stadiums were frequent with the metal halide lights. It could take the lights nearly half an hour to turn back on. With the new LED lights, blackouts are rare. Plus, it only takes the LED’s 1.5 seconds to reach full brightness after being turned on. Besides the technical benefits, LED lights can also up the entertainment factor at sports stadiums. They can be programmed to a different color, like the color of the winning team that night. They can flash, dim, and even spell out words. The lights can be programmed to whatever sets the mood like for the night. It also adds an additional dimension of entertainment for fans. This also makes sports stadiums lighting more versatile to host concerts, conferences, and other large scale events. In addition to the technical and entertainment advantages that LED lights provide in arenas, there are many other benefits of LEDs. For instance, the Dee Center sports stadium at Weber State University has recorded a 70% cut in power used by the center since installing an LED lighting system, which saves the school around $25,000 per year. The lifespan of an LED light is roughly 150,000 to 160,000 hours, which is roughly 17-19 years, eliminating the need to replace bulbs yearly. In addition to the long lifespan of LED lights, they don’t emit any sound, unlike metal halide lights, which emit a buzzing sound. The bright, white light from LED’s is also beneficial to the vision of fans, cameras, and players. Camera operators at the Dee Center have noticed a difference in the quality of what they shoot due to the lighting. The Dee Centers LED lighting improved the HD definition broadcast ability of TV cameras. This translates to a better experience for people watching at home too, not just the fans at the sports stadium. The Dee Center has experienced great success with their LED system. So much success that other universities around Utah are asking them about it. They are curious as to whether or not it would be beneficial to their school too. The overall answer is yes, LED lighting saves money, has a longer lifespan, emits less heat and uses less power than traditional arena lighting. Before buying an e-bike, there are several things you should take into consideration. Buying an electric bike can be a big investment. It’s important to know why you’re buying an electric bike and what you should be looking for in the main components of an electric bike. Before you buy your first electric bike, ask yourself why you’re buying it. Where are you going to ride your bike? What do you want to use it for? Figuring out the type of bike you want is the first step you should take if you want to buy an electric bike. There are different types of electric bikes geared toward different activities, with different price ranges depending on the bike. There are bikes for mountain biking, trail riding, relaxed cruising, urban commuting, and more. So, ask yourself why you’re buying your bike, and consider where you’ll be riding it. Good electric bikes start at $799, but worth the investment if it’s something you’ll use more than a few times. You need to think about the quality of the battery, brakes, bike frame, and other components of the bike. A good quality motor for an electric bike can be expensive. Take all of this into account before buying your bike. Quality e-bikes are an investment, but they are a good investment if you plan on using yours for a long time. The battery is an important part of your electric bike, and you have to take into account the brand you’re buying from. Your battery will degrade and hold less charge over time. Investing in a good quality battery will benefit you in the long run. Quality electric bikes will also have high-quality batteries. They are often lighter, charge more quickly, and will last longer. Electric bikes are powered with lithium-ion batteries, which can last for around 800 charge cycles. You can get at least 2,000 half-charge cycles if you use your battery carefully. It varies from the manufacturer, battery chemistry, and capacity, but your battery will typically take 2 ½ -6 hours to fully charge. Depending on the type of battery you have, and how often you use your electric bike, you can have your battery last for several years. When buying your battery, take note of the warranty, and make sure it covers your battery for at least two years. We also suggest checking the price of replacing your battery. Make sure your manufacturer isn’t going to charge you an arm and a leg to replace your battery. Considering what type of e-bike you have means considering the drive. The most common type of drive is called a “pedelec.” Pedelecs monitors your pedaling and adds a specific amount of motor assistance automatically while you ride. This depends on the rate, force, and speed that you’re going. The second type of drive is called a “twist-n-go.” In this type of drive, you use a switch to trigger assistance from the motor. Some e-bikes, like the AMP Errand, is equipped with both pedelec style and twist-n-go for maximum usability. The output of the motor is limited to 250 W (250 watts) in most places, and the maximum speed is limited to 25 km/h. Faster electric bikes do exist, with speeds of up to 45 km/h. However, you’ll need a special license, insurance, and plates for those particular bikes. It’s important to check the e-bike regulations in your region because they can differ greatly depending on your local laws. The range of your e-bike is another crucial thing to consider when buying your first electric bike. The range of your bike is the distance it can go on one charge of the battery. It depends on many factors. Your weight, the speed, the assistance level you choose, the battery capacity, and the percentage of given pedaling power are all things you have to consider when figuring out the best range for your bike. You should buy an e-bike with a higher range than needed because the range will drop as the battery ages. First is the bike battery, a lithium ion bike battery should last around 1,000 charge cycles, and shouldn’t be stored in an area that is too hot or cold. If you don’t charge your battery at least once every two months, you’ll run the risk of it dying. Don’t leave your bike battery in the charger for more than 48 hours though. In order to make sure your battery lasts long, it is important to charge it after each ride. Each battery is made up of cells with 1000 charge cycles, so you have 1000 full drains and charges of your battery until it dies. If you go for a ride for a certain amount of time each day and use 10 cells, when you charge your battery afterward, you will only have used 10 cells in your battery. The remaining cells will be “new” and unused because you have not used any of their charging cycles. As you continue to use the cells, the battery management system will move onto the new cells as the old ones are used. So, charging your battery directly after you use it will preserve its battery life. Eventually, you’ll need to replace your battery to keep your bike performing. Most manufacturers will offer replacement batteries on their websites. Next, you should clean the drivetrain. You’ll need to buy degreaser and a chain scrubber, or just use an old toothbrush. You can also use warm water to clean your drivetrain if you don’t have degreaser. Clean the bike chain with these items, and dry it off with a cloth. Then, lube your bike chain with a lubricant that works for your bike. Wipe off any excess lube with a cloth. You also need to keep an eye on your derailleur gears. Go to a bike shop to get your derailleur gears adjusted and tightened once per year. A professional will do the best job on this part of your bike maintenance. Caring for your electric bike’s tires is an important step in bike maintenance. You’ll need to make sure that your tire pressure is within the range of your tires. Buying a bike pump that shows you how much pressure is in your tires is recommended. You should also check that your tires are not too worn down, as this can lead to reduced traction and will make it easier for your tires to get punctured. Of course, this depends on the terrain you’re riding on, but it is recommended that you replace your tires for every 2000 miles you bike. Next, you need to check your brake pads. Depending on the type of brakes you have, the maintenance will be different. A few types of brakes are rim brakes, mechanical disc brakes, and hydraulic disc brakes. Adjust your rim brakes and tighten their cables once per year. Replace your brake pads and mechanical disc brakes every year or so. Hydraulic disc brakes also need to have their brake pads replaced every year. However, you might need to “bleed” your brakes and replace the hydraulic brake fluid needs every few years if you want your brakes to continue to work well. You can go to a shop to get this done, or learn to do it yourself. Second, clean your bike frame regularly. You don’t want rust forming on your bike, do you? It is important to check the manual that comes with your bike to see if they recommend any cleaning solution for your bike frame. Once you find a cleaning solution that works for your bike and clean the frame with a soft cloth. You can also clean the bike frame with paper towels. Lastly, taking care of your bike motor will ensure that it has a long life. There are a few different types of bike motors, and each requires a different type of maintenance. The types of motors include geared hub motors, gearless hub motors, and mid-drive motors. If your bike has a geared hub motor, make sure you aren’t overworking it, and that your wheels are aligned. When you overwork the motor, it will wear out faster. If your wheels aren’t aligned they can throw the gear off, which will cause the gear to damage itself. Bikes with a gearless hub motor don’t require a lot of heavy maintenance. These motors contain electromagnets that do the turning of the rear wheel and cause very little friction. If you have a mid-drive motor, you need to make sure that the gears are tuned finely and keep the drivetrain clean. You should always start at a lower gear when using this motor, if you start out at a higher gear, you’ll use up more of your battery because of how fast a mid-run motor runs. Overall, you need to know the basics of your electric bike. Know what type of motor you have, what type of brakes you have, and know the pressure range of your tires. Read the manual that comes with your electric bike to get information on what you’re unsure of, or go to your local bike shop for help. Knowing your bike and knowing how to take care of it is important in ensuring that your bike has a long life. The Green Light Innovations Light Frame provides our customers with the opportunity to creatively communicate with their communities. The write on- wipe off Light Frame can be used for dozens of purposes in your business, school, community center, or even home. With eight different border colors and several functions, the Light Frame can be customized to fit your brand or theme. We decided to show you some of the ways that you can use your Light Frame and include some tips for best use. We recommend preplanning your designs, to ensure that once you get started you won’t have to back track and inadvertently smudge your design. Also, don’t forget your straightedge! Use a ruler or a sheet of paper to help you keep your design straight. You can find inspiration for your Light Frame designs all over! Pinterest is a great resource to check out small simple doodles to dress up your design or to find easily replicable fonts. Get creative and your customers or audience will love checking out your sign. Remember the final step is plugging in your sign and turning it on! The Light Frame has eight different border colors and can be set to flash one color or many. It comes with 8 markers, but if you visit the Green Light Innovations website you can expand your collection to include our extra wide tip markers for those occasions when you want something to be extra bold. Get creative with your designs and post them to social media using the hashtag #GreenLightFrame so we can see your creations!
? 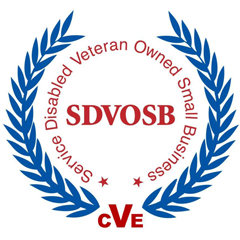 We want you to know what it means to be a SDVOSB in general and what it means specifically to Green Light to be owned by and employee veterans. In 1999 the federal government passed the Veterans Entrepreneurship and Small Business Development Act. This law established an annual goal for the government to have at least 3% of the total value of all prime contract and subcontracts to be won by small businesses owned and controlled by service-disabled veterans. After the passing of the 1999 law, several other laws were passed to standardized the meaning of a Service Disabled Veteran Owned Small Business. These laws ensure that the federal government helps support disabled veteran owned businesses. Moreover, it provides these veteran owned business with opportunities to win government contracts. In order to be considered a Service Disabled Veteran Owned Small Business, a business must meet several criteria. These criteria include that the Service Disabled Veteran (SDV) must have a service-connected disability as determined by the Department of Veterans Affairs or the Department of Defense. The business must be considered “small” via the North American Industry Classification System. The Service Disabled Veteran must own at least 51% of the business. Finally, the Service Disabled Veteran must control the management of the business, and hold the highest officer position. What does it mean to Green Light to work with veterans everyday? Green Light Innovations meets all of these criteria set by the federal government. However, being a Service Disabled Veteran Owned Small Business means so much more to us than just meeting a list of requirements. As a SDVOSB, we’ve incorporated the principles of military service: Excellence in all we do and Service before Self, into the DNA of our organization and it sows in the products we make and our commitment to customers and all stake holders. Green Light knows the capacity and the potential of our veterans and takes pride in hiring veterans whenever possible. Additionally, we ensure that we connect our veteran employees to resources that help them navigate life after the military. Finally, we pride ourselves on partnering with other veteran owned small businesses. Above all, Green Light Innovations recognizes and honors the veterans that have served our country.